Glen-Forest Tourist Park is set in very picturesque surroundings just 15 minutes drive from Port Lincoln, South Australia. With many attractions including: koalas, dingos, kangaroos, wombats, sheep, goats, emus, camels, horses, cows, water buffalos, Babe the pig, ostriches, ducks, peacocks and a walk in bird aviary which is a definite highlight of Glen-Forest Tourist Park. Also at Glen-Forest is the ‘Animal Run’ 18 hole Putt Putt Mini Golf Course and the new exciting off road Segway Rides have been established. Their retail store is stocked daily with a wide range of freshly filleted fish, pickled and smoked seafood, condiments and ocean themed local art, home ware and cooking fare. Take something home for dinner or try the delicious Ocean to Plate takeaway and dine-in menu – or choose your fillet from the fresh display counter and they will cook it for you! Join a Behind the Scenes factory tour to learn about the diverse local fishing and aquaculture industries, observe how the fishermen’s catch is received, packed and stored. View the many and varied species of the day. See how they open Oysters, peel Prawns, clean squid and witness the famous King George Whiting being filleted at high-speeds. Based in beautiful Port Lincoln, Australian Coastal Safaris offers custom made and personalized itineraries for families, large and small corporate and incentive groups. Day tour packages in a comfortable 4wd highlight the many secrets, adventures and world-class experiences that can be found in the region. 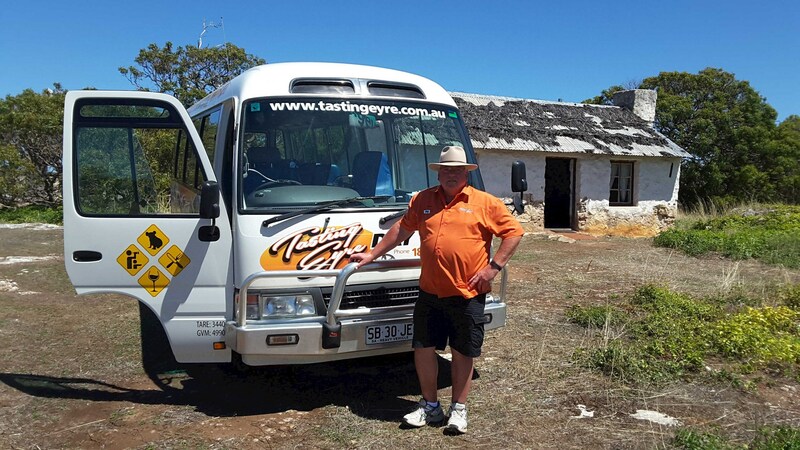 From paddock to plate, wineries to wildlife, seafood to scenery and everything in between, making visitors stay highly memorable with professional service from local guides. 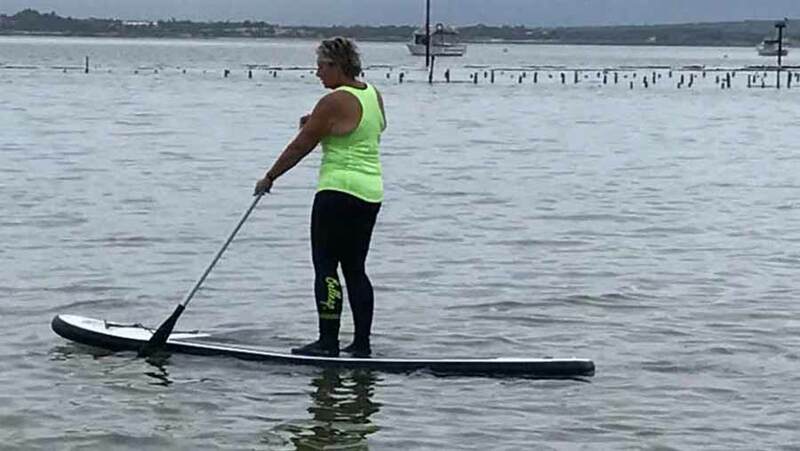 "YOUR ONE STOP FUN SHOP" Kayaks, sandboards, bikes, stand up paddleboards, surfboards, watersports equipment, fishing & snorkeling gear, sporting and fitness equipment. Also specialising in 4WD nature exploring adventure days, fatbike, sandbike and sandboard tours. Call us anytime, there is nothing we have ever wanted to do more than share the uniqueness, adventures, beauty and stories of the wild west coast ! 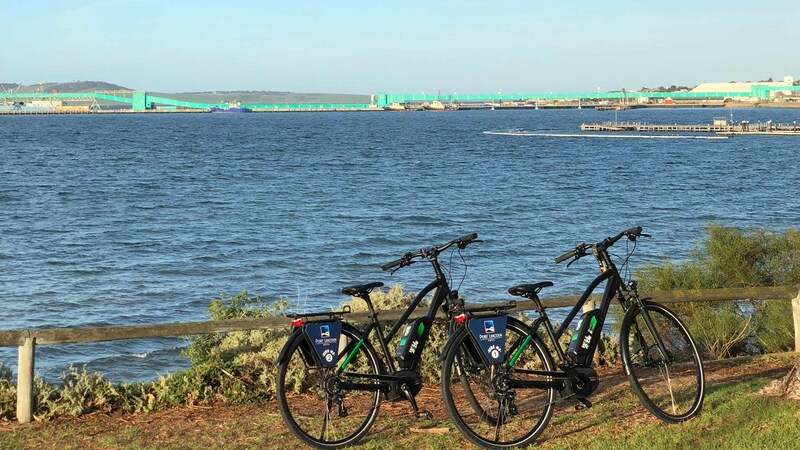 The Port Lincoln Hotel have mountain and electric bikes available for hire. You can hire them for either 2 or 4 hours or for the full day. 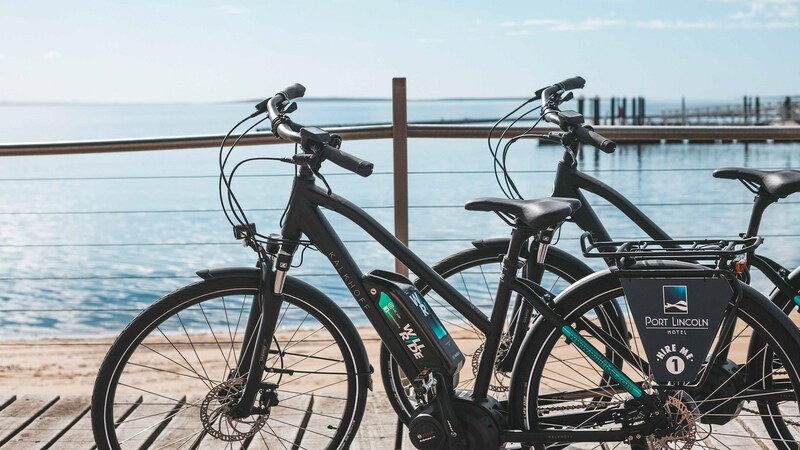 The electric bikes are designed to assist with pedal power, have up to approximately 4 hours of battery life and a cruising speed up to 25kmph. Helmets and bike locks are also provided. Prices start from $10. Contact reception to make a booking. 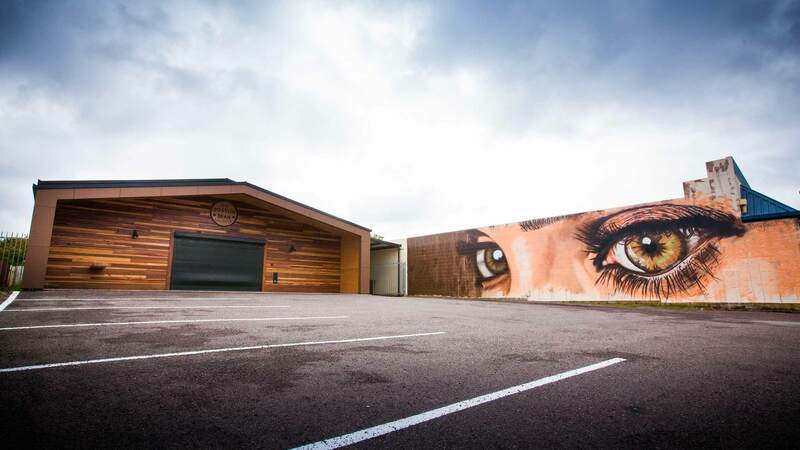 Beer Garden Brewing is the Eyre Peninsula’s first craft brewery and tasting bar opened in late 2016 and is brewing some of the regions finest grains into local beers such as the Eyre Peninsula Ale and the more daring Cage Diver IPA. Located on the site of the old bakery in London St. Port Lincoln, tours operate daily and include a tasting paddle of 4 beers and a guided run through of the brewing operation from start to finish by one of our knowledgeable brewers. You will come away with an appreciation of the science and artistry that goes into crafting some of Australia’s tastiest ales. Boston Bean Coffee aim to provide quality products and services to meet the needs of coffee lovers. They will not compromise on quality. 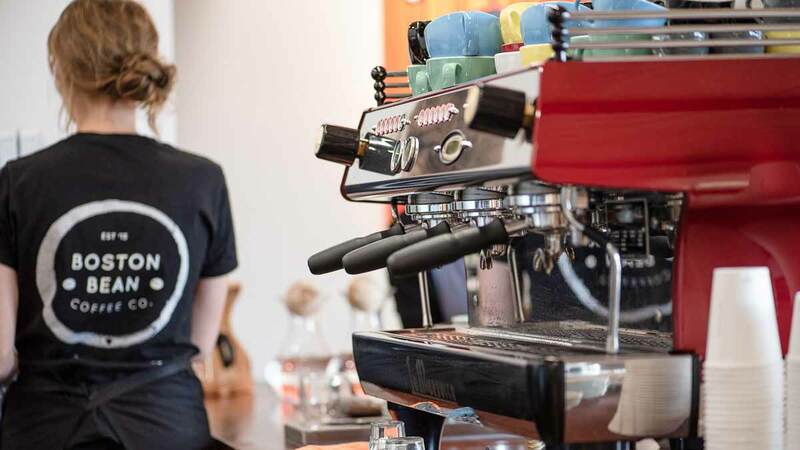 Their mission is to enable others to embrace their passion for coffee. Boston Bean Coffee Co. is dedicated to ensuring our customers, whether at home or in the café, can enjoy the finest coffees using the brewing method of their choice. Go to visit them at 122 Mortlock Terrace, Port Lincoln to try their award winning specialty coffee. Imagine a place where you can sample fine Eyre Peninsula wines, surrounded by vineyards with breathtaking vista of blue seas, cruising yachts and perhaps even a whale. Situated on the beautiful harbour of Boston Bay, Port Lincoln South Australia, Boston Bay Wines produces a premium range of superb red and great white wines. 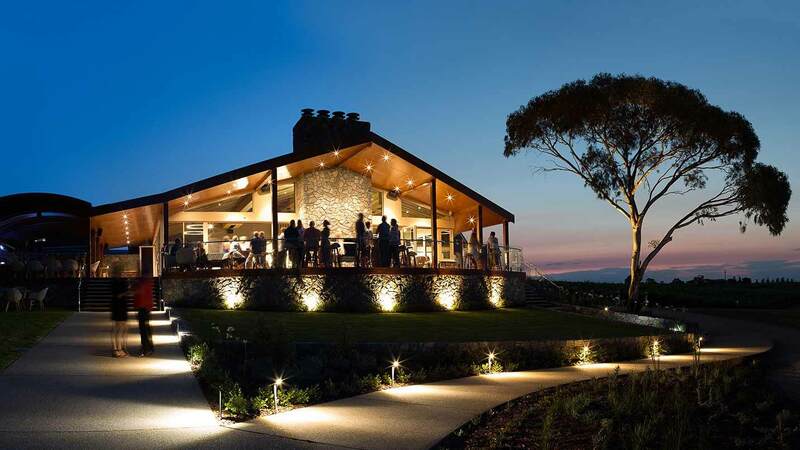 Their cellar door is open 7 days per week from 12 noon until 4pm. Port Lincoln is recognised as Australia’s Seafood frontier but it offers much more – rugged coastline, pristine beaches, national parks, world-class wildlife interactions and fresh local produce. Xplore Eyre will give you an insight into this new amazing destination, which we are lucky enough to call our home! …you will want to come back! Born and bred in Port Lincoln, South Australia, Peter Dennis has been running Triple Bay Charters for over 17 years and has extensive knowledge of Port Lincoln and it's waterways. Peter offers a more personalised experience by catering for small groups. Triple Bay Charters offer half or full day Fishing Charters or Aquaculture & Sightseeing cruises. Jack's intimate knowledge of the West Coast of South Australia, his many decades as a commercial fisherman and aquaculturalist, his love of exploring the many remote coastal nooks and his passion for photography ensure he can tailor a broad range of tour options to suit your interests, time frames and budget. ​​Tours start at $90 per person for up to four hours. Phone 0458 553 357 or via the Port Lincoln Visitor Information Centre on 1800 788 378. Located Liverpol Street, Port Lincoln, the Seishin Spa team is devoted to you! They pride themselves on down to earth services that allow you to love the skin you’re in. Their beauty, grooming and spa rejuvenation services span from waxing to makeup, massage to whole body indulge packages. If you would like a custom designed spa package, please feel free to contact them with your requests. Experience the pristine clear waters, pure fresh air and creamy salty taste of Coffin Bay Oysters on an Oyster Farm Tour! 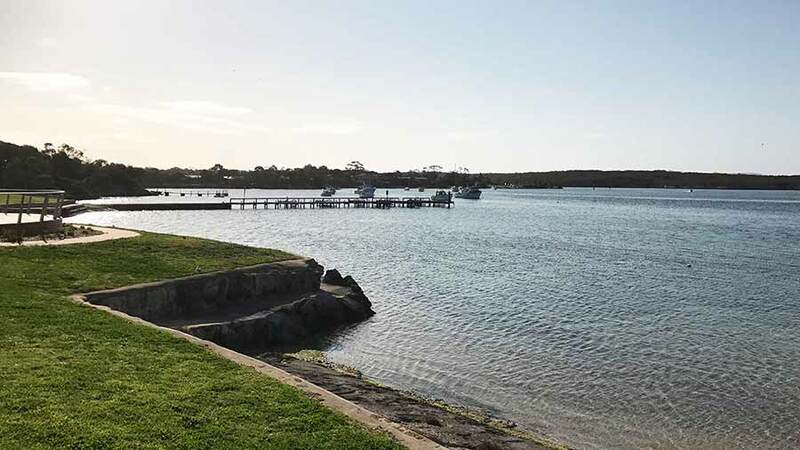 Wade out into the water, learn to shuck your own oysters, and taste famous Coffin Bay Oysters, moments after being plucked straight out of the sea! 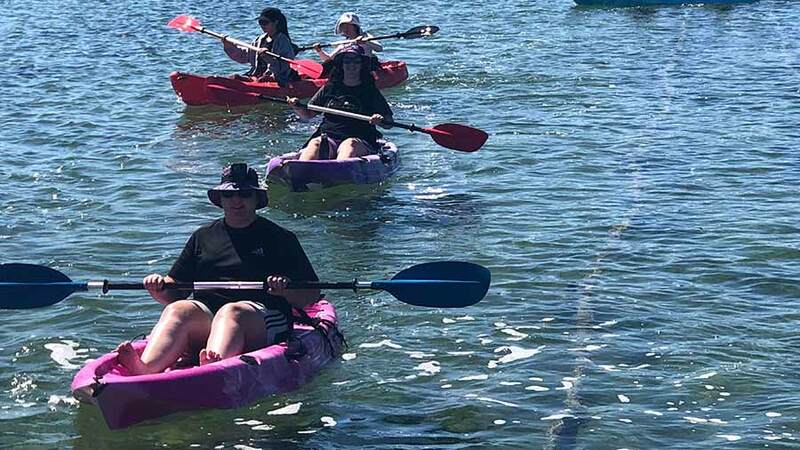 Tours include options of adding a glass of riesling, extra oysters, a bottle of sparkling, and the full seafood extravaganza of a seafood platter enjoyed in the water at the conclusion of the tour. Tour participants are also able to harvest their own oysters which they can purchase at the end of the tour. Transport option now available. Hotel pick-up and return transport from Port Lincoln for $20 per person (Tue, Wed, Sat & Sun - minimum 2 people). Spend a lazy day kayaking around the beautiful waterways of Coffin Bay, or splashing about with the kids! Single, Double, Double + 1/2 Kayaks available to hire for 1 hour, 2 hours, 1/2 day or full day. Try your luck catching fresh fish for dinner, and hire a fishing kayaks which come with rod & rig for a relaxing afternoon out on the water! Transport option available. Hotel pick-up and return transport from Port Lincoln for $20 per person (Tue, Wed, Sat & Sun - minimum 2 people). The stunning coastline of the Eyre Peninsula is building a reputation for becoming Australia’s Seafood hot-spot. 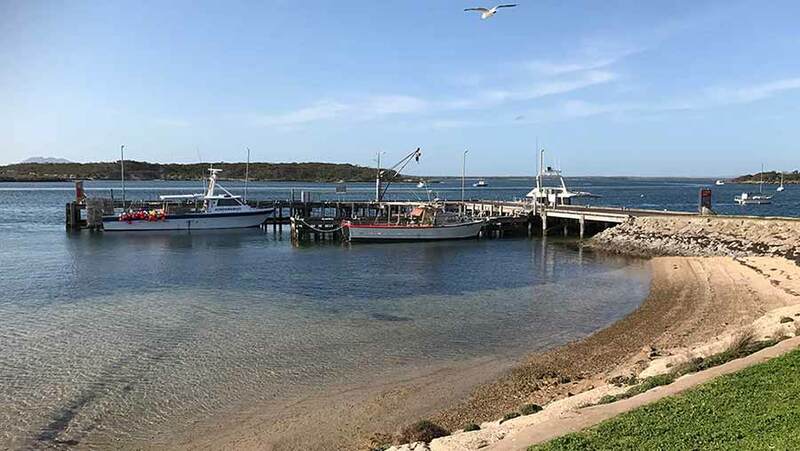 Fresh seafood is in abundance along this coastline, and in the picturesque town of Coffin Bay, it’s the Oysters that are the hero. 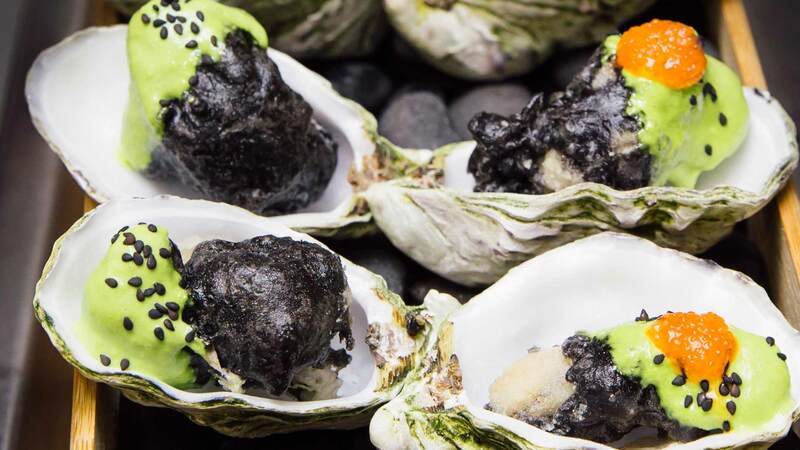 Coffin Bay is renowned for Oysters in restaurants around Australia and located 45kms from Port Lincoln. Transport is now available to Coffin Bay - Hotel pick-up and return transport from Port Lincoln. Available Tuesday, Wednesday, Saturday & Sunday $20 per person (minimum 2 people). During the winter months, Southern Right Whales visit the Far West Coast Marine Park to give birth, to socialise and to breed. In 2016, there were 172 whales visiting the Park – 81 were calves that were born there. The Park is recognised as the most important nursery in the world for the Southern Right Whales. Visitors can take a flight from Nullarbor Roadhouse over the Marine Park, and the Bunda Cliffs on the edge of the Nullarbor. An aircraft is available between 1 June and early October. Flights depart with a minimum of two passengers, and a window seat is guaranteed. Bookings are essential. Please note: the Nullarbor Roadhouse is approximately a 7 hour drive (each way) from Port Lincoln. Operating on board MV Calypso Star 2 on selected Friday's. Whilst cruising around the scenic waters of Boston Bay, enjoy a banquet dinner of Eyre Peninsula's best seafood, pork, lamb and small goods accompanied by the finest local wine and craft beer. Located at the Port Lincoln Hotel on the foreshore of Boston Bay, Sarins Restaurant offers spectacular ocean views with indoor and outdoor seating - the perfect place to enjoy a casual coffee and grazing platter with friends or experience fine dining by night. Located at the Port Lincoln Hotel, Sharkys has a little something for everyone; whether you're enjoying a quiet after work drink, catching up with friends, watching sport on one of our huge screens or enjoying some pub favourites with a little Port Lincoln Hotel flair, we've got you covered! With all day dining 7 days from 12pm and tasty up-late desserts from 8pm til very late on Friday and Saturday nights. Located at the Lincoln Cove Marina, the Marina Hotel offers impressive choices for visitors to the Eyre Peninsula region. The menu is ever evolving to reflect the season and to offer you an exciting choice of sumptuous cuisine. Perennial favourites include succulent steak, locally caught fish, freshly shucked oysters or signature dishes such as Lemon Pepper Calamari with house made tartare sauce, Slow Cooked Duck Spring Rolls and the crowd favourite King George Whiting. Their fully-licensed restaurant is only a two-minute walk from the post office and visitor information centre. Operating seven days a week for breakfast, lunch and dinner. The menu consists of a large range of dishes with a strong ‘Modern Australian’ flair and is heavily focused on local produce from around the Eyre Peninsula. The Line & Label is Port Lincoln’s dining destination where the best Eyre Peninsula produce is celebrated and served on a plate. Primarily fish processors with a team receiving and filleting fish all day long, our cooks have exclusive access to this freshly filleted fish ‘straight off the processing table’. The seafood for their menu is sourced from local sustainable managed fisheries. For a healthy mouth-watering ‘ocean to plate experience’ try their fish in a light crispy batter made from local flour or pan-fried paleo style. You can add a side salad dressed with local olive oil – all seasoned with local salt of the gulf. Locally owned and operated with only the freshest of Seafood sourced from our own backyard that is the seafood capital! Seafood doesn’t tickle your fancy? They own the title of “best parmy” in Port Lincoln too! Plenty of takeaway snacks, pastas, salads, burgers, yiros, schnitzels and much more. Located 100m from the front beach. Open 7 days. Spend a day in Coffin Bay exploring and this is the perfect spot for lunch, or some afternoon Oysters with a glass of wine in the sun! Licensed cafe! Great relaxed cafe style meals celebrating all the fabulous seafood that the Eyre Peninsula is renown for including our world famous oysters with a selection of dressings. Open 8.00am - 6.00pm with outdoor dining, full breakfast menu, and a large selection of meals from Fish & Chips, Burgers, our home made pies and pasties, Pizzas, Pasta, Seafood Platters, Fishermans Baskets, Tuna, Kingfish, Snapper, there is something to please everyone. We have a transport option, and can arrange hotel pick-up and return transport from Port Lincoln to Coffin Bay 4 times per week $20 per person (Tue, Wed, Sat & Sun - minimum 2 people 11.00am departure & leaving Coffin Bay at 3.00pm). Showcasing their own beautiful locally grown Coffin Bay oysters, with a fabulous outside deck overlooking the spectacular Coffin Bay. With a large selection of both fresh and cooked oysters available with a wide range of toppings, and additionally for the more adventurous they have Oyster Shooters with a couple of different dressings available as well as showcasing the finest seafood that the Eyre Peninsula has to offer including tuna and king fish, prawns, mussels, locally farmed Abalone, Scallops, Squid and of course King George Whiting. Additionally for those less inclined to want seafood they have a selection of other options including Lamb, Chicken, Steak, and pizzas. Looking for a real 'Café experience' on the Eyre Peninsula, then take a drive to enjoy a superb breakfast and some delicious French foods and pastries at L'Anse Tumby Café. Located in Tumby Bay a 45 minute drive from Port Lincoln just off the main street on Lipson road. We are so lucky to live on the Eyre Peninsula. Whilst you are here make sure you take the time to explore our National Parks. With day passes and camping available, take your camera fully charged, as the scenery is beautiful! You can no longer purchase your camping or vehicle passes at the entry gate, it needs to be completed online. Click on the direct links below to purchase the pass before you arrive. The entrance is located a 30 minute drive South of Port Lincoln. This park boasts some of the most scenic coastline in South Australia, featuring a vast sand dune system, rugged offshore islands and secluded white sandy beaches. There are outdoor activities galore including trekking, birdwatching, photography, fishing, swimming, 4WDriving, and bush camping. Lincoln National Park also boasts one of Southern Australia's 40 great short walks in the Stamford Hill Walk. You need to purchase your entry pass online prior to entry. The entrance is located 45 minutes West of Port Lincoln, adjacent the Coffin Bay township. With unspoilt coastal scenery, towering dunes and stunning white beaches, this park is the perfect place to create your own adventure. Visit Golden Island and Almonta Beach and be welcomed by turquoise water and some of the whitest sandy beaches on Eyre Peninsula. The more adventurous can tackle the challenging 4WD tracks to Gunyah Beach or further afield to Sensation Beach and Point Sir Isaac. There's nowhere else I want to be!